Spotlight on Spring River Service Unit! Spring River Service Unit volunteers are busy helping Girl Scouts learn about leadership through a unique service opportunity! It all started in 2009 when no adult volunteers were available to take on the challenging job of planning the service unit camporee. Troop Leader Jeannette Stromquist-Sheehan had been on the camporee planning committee in the past, so she knew how much work was needed to produce a successful event. She and her co-leader, Chris Lingelbach, presented the idea of planning the camporee to the girls in her troop as a way for them to earn requirements toward the Girl Scout Silver Award. The girls were very excited to learn they could plan activities specifically for the younger girls, as well as take the lead on such an important event. The girls in Troop 3334 decided on the theme of It’s a Bug’s Life. The girls designed special Girl Scout Brownie and Girl Scout Junior badges with requirements which were accepted by the council. 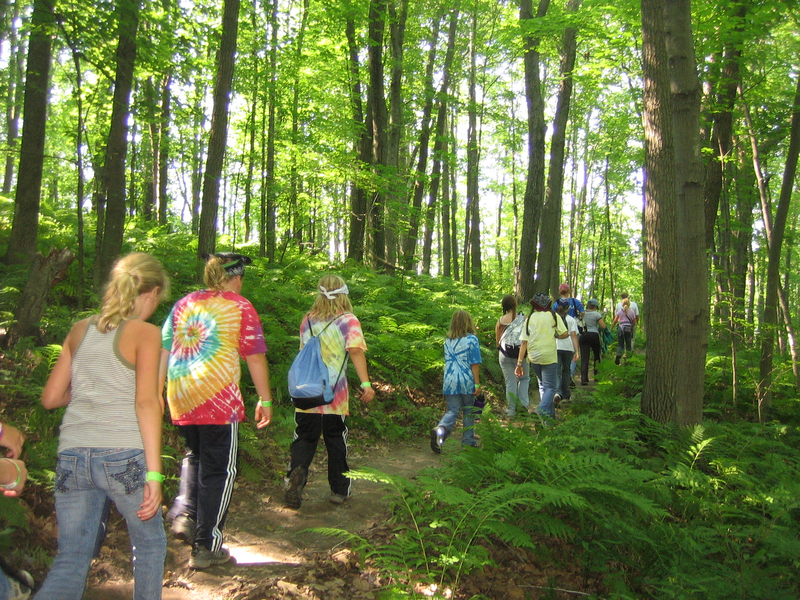 The troop worked together to plan activities for the younger girls as well as the volunteers who attended the camporee. After the event, the girls were rewarded by many of the younger girls who came up to give them hugs and thank them for planning such a fun event. Since the girl-planned camporee was such a success, the service unit has continued the tradition. In 2010, Troop 3329 decided on a Fame theme which revolved around dance. This year’s camporee was planned by Troop 3079 with a Country Girl theme centered on the United States Flag. The troop that started it all, Troop 3334, is again stepping up to the plate in 2012. The girls have decided on a S.W.A.P.S. theme which will stand for Sisters with a Passion for Scouting and line up with the Mission: Sisterhood Journey. The troop plans to ring in Girl Scouts’ 100 Anniversary with activities on the beginning and basics of Girl Scouts and what they did in 1912. GSNI salutes Spring River Service Unit for recognizing the importance of girls planning events for girls and locally supporting the Girl Scout Leadership Experience!